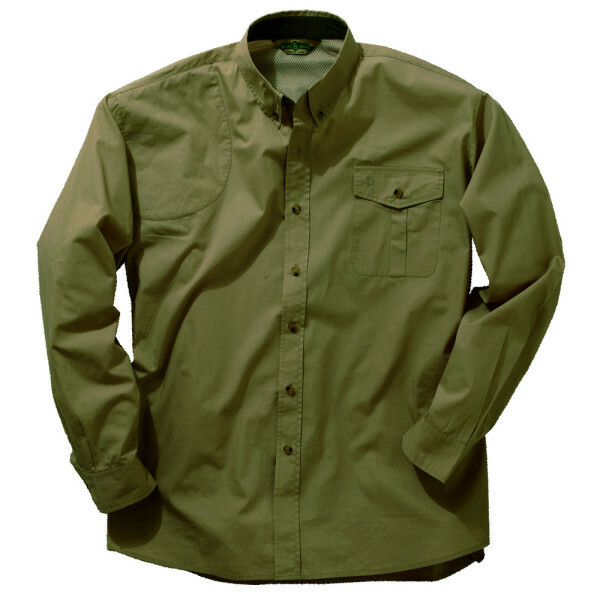 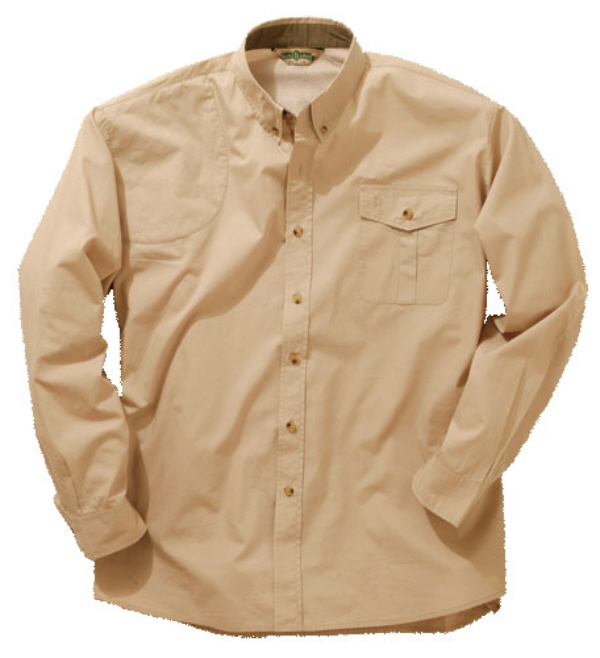 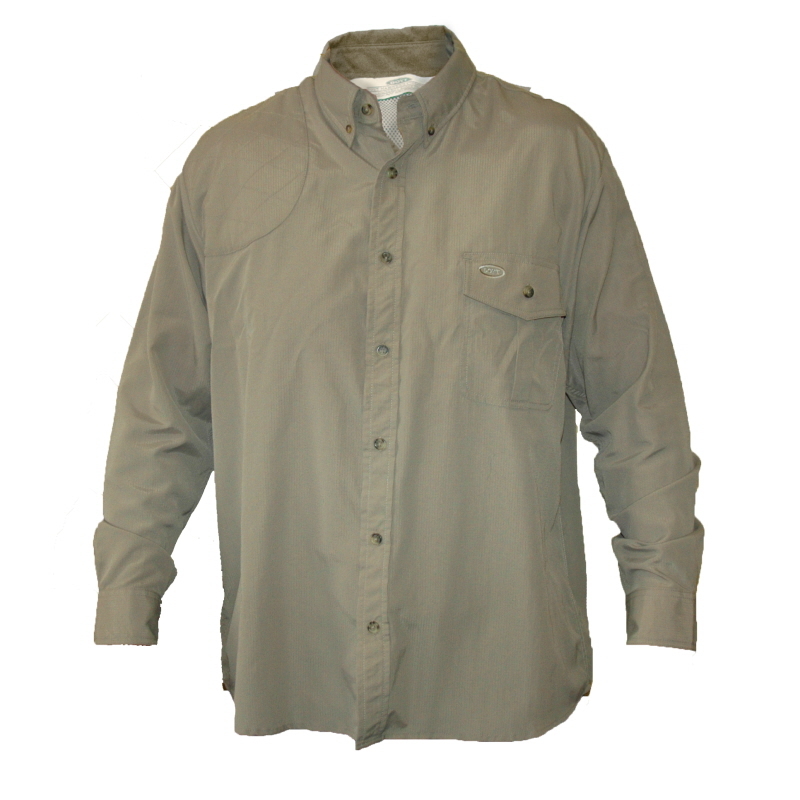 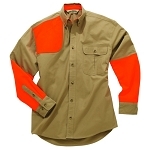 Our Bob Allen "Pica Zuro" vented mesh-back shooting shirt is a good-looking long sleeved shirt, constructed 100% rip-stop fabric which is moisture-wicking for quick drying performance and is designed for shooting with a righ-hand shooting pad. 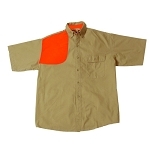 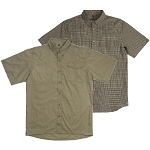 Also suitable for a variety of occasions, including warm weather dove and quail hunting. 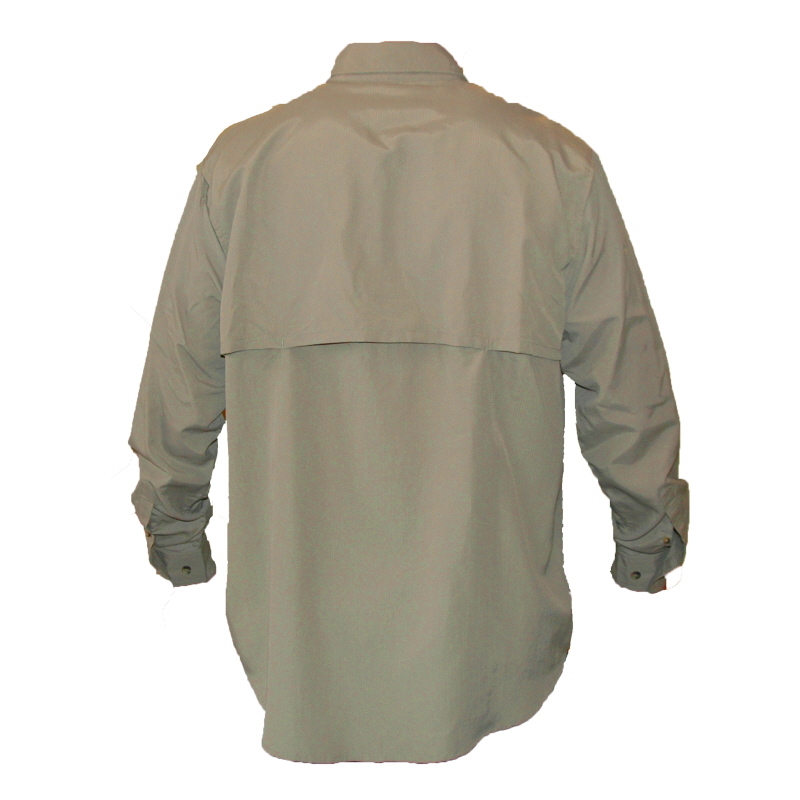 Featuring a caped, vented mesh back for breathability, 7-button placket, and pleated button-flap pocket.